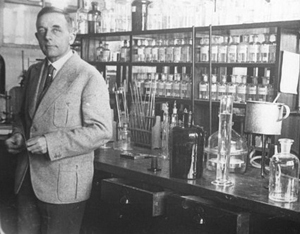 Biochemist and Nobel Prize winner Otto Heinrich Warburg, one of the twentieth century’s leading cell biologists, discovered that the root cause of cancer is too much acidity in the body, meaning that the pH, potential hydrogen, in the body is below the normal level of 7.365, which constitutes an “acidic” state. Warburg investigated the metabolism of tumors and the respiration of cells and discovered that cancer cells maintain and thrive in a lower pH, as low as 6.0, due to lactic acid production and elevated C02. He firmly believed that there was a direct relationship between pH and oxygen. Higher pH, which is Alkaline, means higher concentration of oxygen molecules, while lower pH, which is acidic, means lower concentrations of oxygen…the same oxygen that is needed to maintain healthy cells. In his work The Metabolism of Tumours Warburg demonstrated that all forms of cancer are characterized by two basic conditions: acidosis and hypoxia (lack of oxygen). “Lack of oxygen and acidosis are two sides of the same coin: where you have one, you have the other. Robert Young you are awesome!! Finally, an accurate description of Warburg's theory. Thank you!